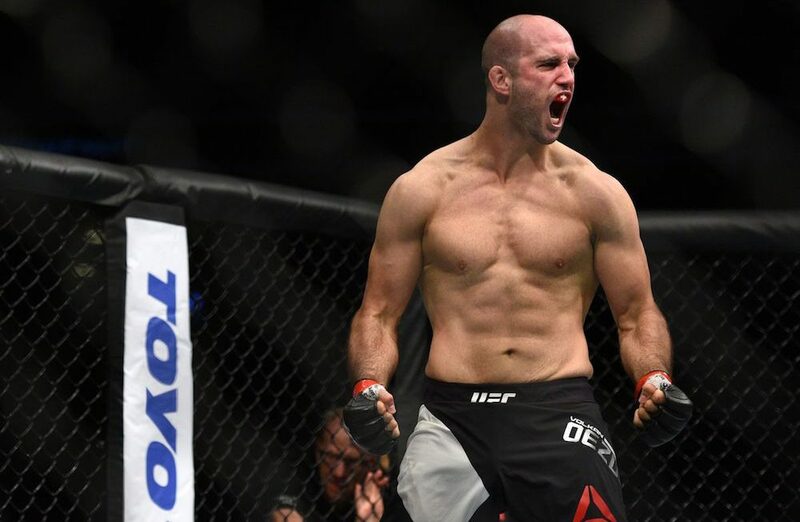 It appears Volkan Oezdemir will still get his title shot. The Swiss light heavyweight landed in the headlines just recently for all the wrong reasons after he was arrested and charged with aggravated battery in Florida following an alleged assault that took place outside a bar in Florida in August. Oezdemir was later released on $10,000 bond but his arrest put into question a potential title shot that was looming against light heavyweight champion Daniel Cormier. Well according to UFC president Dana White, Oezdemir will still more than likely get the fight with Cormier regardless of his current status within the U.S. legal system. “Yeah he’s probably still going to fight,” White revealed on Tuesday when speaking about Oezdemir. The reality is the UFC would be in a very difficult spot without Oezdemir fighting Cormier in early 2018. Former light heavyweight champion Jon Jones remains on provisional suspension pending a hearing with the California State Athletic Commission as well as potential arbitration with USADA after he tested positive for steroids following his last fight in July. Meanwhile, former two-time title conteder Alexander Gustafsson just underwent shoulder surgery this week that will undoubtedly keep him out of action until sometime in 2018. That means options would be extremely limited for Cormier’s next title defense as champion outside of Oezdemir, who is currently riding a three fight win streak in the UFC including two first round knockouts against Jimi Manuwa and Misha Cirkunov. White admits that he didn’t know about Oezdemir’s legal troubles until hearing that he was arrested but it doesn’t appear that will sideline him from fighting for the light heavyweight title next year.